Due to the socio-economic conditions in wider parts of Klong Toey, access to formal education is often an economic problem. Making ends meet is the main aim of livelihoods in the communities and very often these include negative coping strategies that children and youth are exposed to from very early stages of their development. A lack of awareness of ones rights and limited opportunities lead to a general lack of human security and societal issues including the abuse of drugs, teenage pregnancy, domestic violence and trafficking. Mercy Centre strongly believes that only through education can children truly be prepared to make a good life for themselves. But to get out of this “circle of poverty” cannot be achieved quickly. It is often very difficult to measure success and failure when discussing lives of human beings as good or bad. Mercy Centre provides pre-schools, orphanages, social work, support and protection for families and individuals. The Mercy teachers are mums, policemen, nurses and carers – and the children are given real choices in their lives, choice to oneself make something out of one’s life. Mercy’s preschools is an academic center just as much as a community meeting space which provides for a chance to give information on health, HIV/AIDS, follow children and the family situation and mobilizing during emergencies. Over 300 children received an educational scholarship from Mercy in 2017 – making it possible for them to live at home with their family while pursuing their studies. The children that come to live in our orphanages and the children in our vocational school comes from zero and have often a bleak, rough life ahead of them. Many don’t even have a birth certificate and others, being migrant children have few, if none rights outside the camp they live in. Through the Mercy Centre school system they are seen as equal individuals as anyone else. Mercy Centre now have 10 camp site schools (1 teacher per school) in migrant camps around Bangkok – all in collaboration and by request by the building companies. This term we have registered 135 students. They are given a voice and are motivated to continue education, we raise awareness on their potential and capacity, and if formal education is not possible to link them with possibilities for vocational training. These children have particular needs for social, emotional and physical development and the caregivers at Mercy respond with love, care, and academic or vocational training that give these individuals a much stronger foundation for a safe and good life. The goal is to improve knowledge and capacities of the students (no matter the age) through structured, supportive education that suits each individual. A new kid on our doorstep is never a burden. It is always a blessing. This year we have 1 boy and 1 girl move into our Mercy home. We consider the 23 Mercy preschools as a place of comfort and warmth. This year 2500 children from the shanty slums of Bangkok are studying the Thai alphabet, sing songs and dance and learn English. And just as important the children learn life skills as hygiene, talking properly and how to protect oneself. The kids start the day with morning gymnastics and have a laugh. Then after they sing the national anthem and say their morning prayers. It is time for milk and a morning snack. It is important to fill up the tummy; it makes it easier to learn. Funny dancing and smiles make you feel good; and if you feel good you feel safe. Plus maybe one-third of our kids have no breakfast to eat at home. So they come to school hungry. 2017 has been a year filled with events and happenings. The foundation is celebrating its 45th anniversary and we invited some of our oldest, kindest, most generous sponsors, donors and friends. But we are also truly grateful for all the new partnerships we have gained – this is crucial for continuing the work we do. 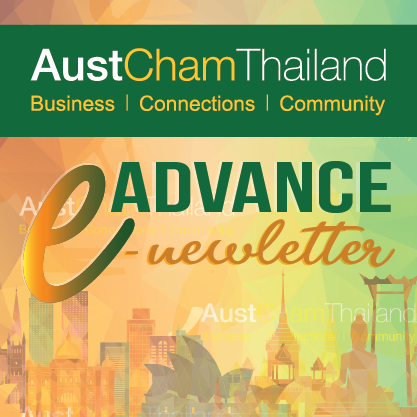 This year we won a grant from the Australian embassy in Bangkok to install solar panels and purchase LED light bulbs – this will enable a lot of money saved from our electricity usage, which we can relocate to help even more children. So far we have saved almost THB 60,000. This March 427 children graduated Mercy preschool – it is our proudest day of the year. 427 amazing 7 years olds’ already achieved so much and ready to take on 1st grade, strong and prepared. One of the Mercy orphanage is in the outskirts of Bangkok and this year we have turned the traditional, basic farm area into an organic, self-sustainable farm where the boys help grow vegetables, rice, chicken and ducks. It is enough food to feed all the boys and they also sell the products on local markets and here at the main center. After hard work 3 of our brightest 6 year olds have been given full scholarship to attend the local catholic international school and Mercy now has 8 children between 8 and 17 years old studying in international schools in Bangkok. They are given a most special opportunity to thrive in a global environment and create a strong foundation for a prosperous adulthood. Mercy Centre is a shelter for street kids, five orphanages, a hospice, a home for mothers and children with HIV/AIDS, a 400-pupil kindergarten, a community meeting place, and a serene haven in the slums with small gardens and playgrounds. Originally built on a former Buddhist Temple site on port authority property, Mercy Centre has stood in some shape or form for nearly 40 years. In 2000, it was rebuilt through a generous gift to accommodate our expanding services to orphans, street children, and children with HIV/AIDS.